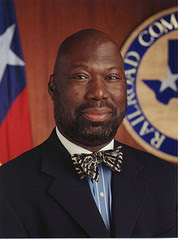 Michael Williams is the best for Texas .I just went to the polls yesterday and voted for Railroad Commissioner. Michael is running for reelection for Railroad Commission. The political office ironically regulates energy, therefore the office is a totally misnomer. Nothing to do with railroads ,everything to do with energy. The first thing that the Railroad Commission needs to do is rename itself. If NFL football star Chad Johnson can rename himself to the absurd name of Ocho Cinco ,then certainly our people in Austin can change the name of the Railroad Commission to the Energy Commission. To paraphrase Tina Turner , Michael Williams is "simply the best" candidate for the job . This is beyond any party politics that could consume us. The future of energy in this state is beyond oil and gas , it involves nuclear energy , solar energy , and wind power .There is no candidate that has offered himself up for the railroad commission that has been more qualified than Mr. Williams. Michael provides us with the leadership for a new Texas , and a new America. From his appointment by Governor Bush in 1998 , and his subsequent reelections in 2000 and 2002 he has shown that he is a capable steward for our state. Please join with me and let us reelect Michael Williams for Texas . During the 80's two of the best of dancers on the planet was my brother Stephan Gray and the front man for the pop group New Edition , Bobby Brown . 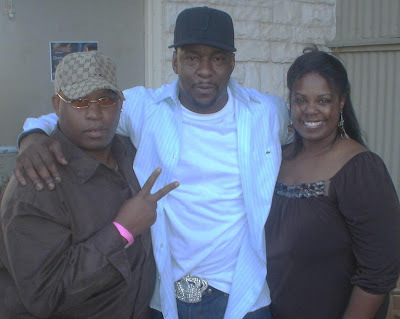 Stephan is pictured with Bobby Brown and girlfriend Deirdre at a recent outing in Dallas. Years have gone by and I have seen my brother dance, he appears to have lost a step. I guess we all get that way as we mature , but sometimes its hanging in there that makes you a champion. Bobby Brown truly has had his up and downs in the years , among them a career that blossomed and then faded. Bobby has dealt with some inner demons that have plagued him ,and he continues to battle them. The below video interview is remarkable and candid assessment of an man's life and career. In the interview he speaks about Whitney and his drug usage. Much respect Bobby, and my prayers are with you. I enjoyed the television show "Being Bobby Brown " , the television series humanized Bobby and portrayed him in a more favorable light. Meanwhile New Edition and BBD have matured to an old school classic entertainment fixture for us grown folks. Good music never fades it gets better over time. Check this classic music video blog from the Ghostbuster II soundtrack.I wonder if my brother challenged him to a dance off , to bad the dance off contest did not back in the day. increase the party to include more African Americans. I have been a guest at a few Republican conclaves ,and though I am not afraid of the conservative ideology . In some ways I am conservative myself. I however condemn the efforts of its partisans ,to ghettoize the black race as Democrats sometimes do. 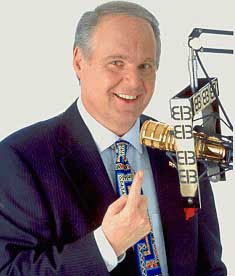 Check out what Rush said about Collin Powell and his connection to race.It seems ironic that race becomes a factor when Powell endorses Obama ,however if Rush endorses McCain race is not considered a factor.It should be a simple matter of an political endorsement. What I am getting at is Rush played the race card. When General Powell did not fit the role that Rush had desired for him ,he was dismissed as a simple field hand. The various e-mails and call ins to talk radio,question Powell’s patriotism and then go on to attack him .It is actions like these that ultimately hurt the GOP African American outreach program. If you are a moderate or African American it must be hard to support the party of Lincoln ,when your endorsements is ostracized and denigrated according to your race. Collin Powell's endorsement of Senator Barack Obama’s campaign this past Sunday was a definite boost ,but no game changer. General Powell is a moderate Republican , a rarity in a party that is defined by its conservatism. The endorsement therefore does not change the outcome of the election. In a previous blog I reported that he was on the fence.He is no longer on the proverbial fence .The Powell endorsement indicates that moderates are leaning to Senator Obama. Powell though well respected in GOP ,is not the center of the base of the Republican party .Folks ,read no more to it than it is ,moderates are trending not the GOP faithful.It is going to be close ,get your no doze it still may be a long election night. Glory Road is the edgray4america tribute to those who have passed away to greater glory. Gone but not forgotten ,they should not be overlooked. The following is the obituary from the Wikipedia web site . Stubbs began his professional singing career with friends Abdul "Duke" Fakir, Renaldo "Obie" Benson and Lawrence Payton to form the Four Aims in 1954. Two years later, the group changed their name to the Four Tops. The group began as a supper-club act before finally signing to Motown Records in 1963; by the end of the decade, the Four Tops had over a dozen hits to their name. The most popular of the Four Tops hits, all of which featured Stubbs on lead vocals, include "Baby I Need Your Loving", "I Can't Help Myself (Sugar Pie, Honey Bunch)", "It's the Same Old Song", "Reach Out I'll Be There", "Standing in the Shadows of Love", "Bernadette", "Still Water (Love)", and "Ain't No Woman (Like the One I've Got)". Although Stubbs was a natural baritone, most of the Four Tops' hits were written in a tenor range to give the lead vocals a sense of urgency. Stubbs and the other Tops remained a team until Payton died in 1997, at which point Theo Peoples took his place. The Four Tops were elected to the Rock and Roll Hall of Fame in 1990. Benson also died on July 1, 2005. Levi Stubbs passed away after a long illness on October 17, 2008. Stubbs has also guest starred in a number of TV shows as himself. Stubbs and his wife Clineice were married from 1960 until his death, and had five children. In 1995, Stubbs was diagnosed with cancer, and later, a stroke, and stopped touring. Since 2000, Theo Peoples has taken Stubbs' place as the lead singer of the Four Tops, with Ronnie McNeir taking the place that Payton originally held. Levi Stubbs died in his sleep on October 17, 2008 at his home in Detroit from his ailments. Abdul "Duke" Fakir is the only surviving member of The Four Tops original lineup. Joe Wurzelbacher is the most famous plumber in America since the punch line of that old joke about the plumber who drops dead . In getting his fifteen minutes of fame he got more than he bargained for . Joe got vetted by the public and now everyone know Joe is a fraud. John McCain constantly mentioned Joe in the last presidential debate . Over twenty four times his name was called .The McCain tactic was to question the Obama tax proposals ,and also attract blue collar workers. I feel like I know "Joe the Plumber " , But say it ain't so Joe , you are not what you said you were. Joe was supposed to be a metaphor for the working middle class stiff that was going to be stiffed by the oppressive Obama tax hike .A fact check bore the truth , that Joe would not get taxed like he thought he was. The taxes will kick in if only his income was over $250,000 not the value of the business. Plumbers make a lot of money but they don't make $250,000 a year. That would be a lot of clogged toilets. Joe the Plumber attempted to ambush Obama but instead he got ambushed. Every candidate knows that when you put yourself out there , your past is up for review . Well Joe 's past got put out there too . McCain had to apologize to Joe on the David Letterman show, stating that he was sorry was Joe was getting all this unwanted attention from the media and yes,bloggers in Texas. The Obama tax proposals need to be reviewed and studied , and Joe needs to study for his plumbers license . See it turns Joe ain't a plumber after all , but he is a plumbers helper. The local union confirmed that Joe applied to be an apprentice and did not finish the course requirements. That’s like saying you give a guy a rope and he is a cowboy .Whoa ,wait a minute ,that plumbing company that Joe wanted to buy, he now says that it was a goal not a firm deal. Those taxes that he was talking about paying under the Obama proposal ,well he does not pay the back taxes he owes to Ohio . John McCain staked the debate outcome on the credibility of Joe the Plumber, if he staked the outcome of the election on "Joe the Plumber" ,its over. Like the joke , Who is it? It's Joe the plumber ,he has come to fix the sink. The McCain election is in deep trouble. candidate has offered. Obama did not just shake his hand and walk off to the next voter. Here is some music to break you away from the chaos of Wall Street and the presidential campaign. Many years ago ,I met Kirk Whalum at the greatest jazz venue in Texas. If you never been to the Caravan of Dreams you missed a treat.I saw many musicians up and close and personal there ,legends such as Dizzy , Kirk ,Jonathan Butler,Pieces of a Dream and many more . Kirk stands out as my favorite jazz musician.I still have his autographed bible scripture inscription on one of ticket stubs.Whalum helped me get an A in my progressive jazz class at SMU ,his interview with me sealed the deal with my professor. I enjoyed was that class , good times and good music were had by all. 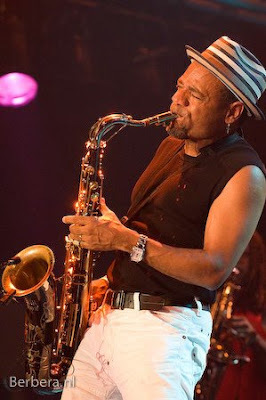 Kirk Whalum is a class act all the way ,enjoy the sounds of Kirk Whalum and friends : Boney James ,Kenny Garret , George Duke , close your eyes and you are with me at the Caravan . I am supporting Eric Moye for Judge for the 14th Civil District Court. I know him to be tough judge and he will be a worthy addition to our justice system . I have not appeared before him in court , he was one of my professors at SMU . Judge Moye graded hard and suffered no fools . Woe to the lawyer who comes to his court, unprepared. As you make your decisions in the upcoming election, I encourage your support of an outstanding local judicial candidate, Eric Moyé, who is running for Judge of 14th Civil District Court. 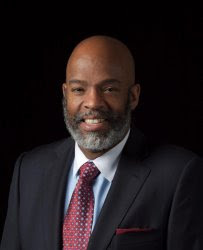 Eric Moyé is a former Dallas Civil District Judge appointed by Governor Ann Richards and was recently recommended to us all by the Dallas Morning News. He is a graduate of S.M.U. and Harvard Law School. He served our community well as a Judge in the past, and we will be proud to have him on back the bench.Please join me in voting for him during Early Voting, October 20th to the 31st, or on Election Day, Tuesday November 4th. Pop culture has a way of taking a politician's foibles and exaggerating them to a hilarious spoof .Check out the past and see how this has been done to our politicians .In this blog each Saturday we will take a break and laugh at our leaders. The target this week is President George W. Bush selling estate planning.